Wine is fabulous. I love wine. I’m not afraid to say it. I’d swim in a bottle of red if it wasn’t weird and expensive to do. I’m particularly fond of pinot noir, but I’m always up for trying a new bottle. 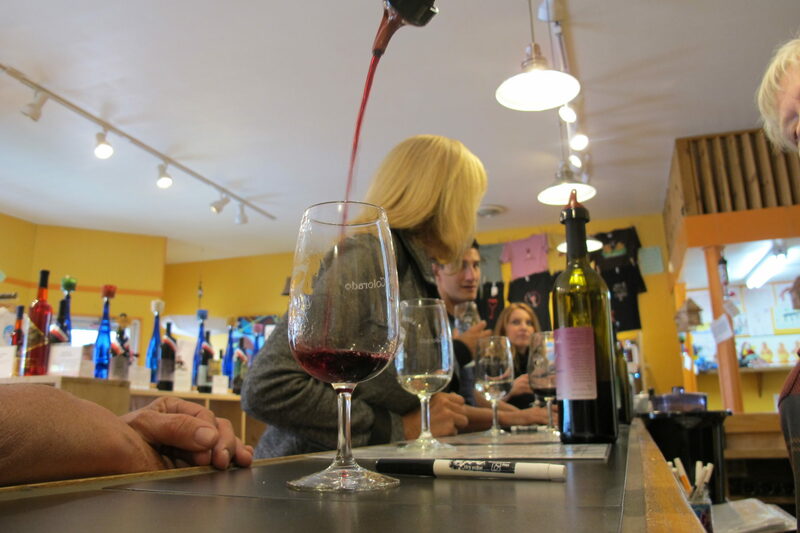 On my most recent getaway to Estes Park, Colorado, I got the chance to try some new grapes from a pretty spectacular little place called Snowy Peaks Winery. I tried all the grapes. I was confused when I first got in there. No one sat in the quaint little tasting room, but rather hung out around the counter. At first glance I thought that there was a line to pay, which in itself was pretty impressive. However, it turns out everyone was just hanging out at the counter getting their samples. I didn’t mind following suit. The piece of paper in front of me listed twenty or thirty whites, reds, and dessert wines with descriptions of flavors for me to pick from. I simply couldn’t decide on five. (Luckily for me you only pay $5 for five samples so I got to take a bunch of them for a spin!) I started out by checking the pinot noir box because, you know, pinot noir. The rest of my choices were much harder to make. Did I want lush fruit flavors or peppery undertones with a smooth caramel finish? All that thinking was giving me a headache. Thankfully, there was wine nearby. I can be a pretty hard sell because I’m a wine snob, but man were those delicious! I’m not a huge advocate for white wine, but the sweet Riesling was out of this world. The ideal combination of a slightly dry taste and sweet fruit flavors that lingered until I couldn’t take the torture any longer and had to have another sip. 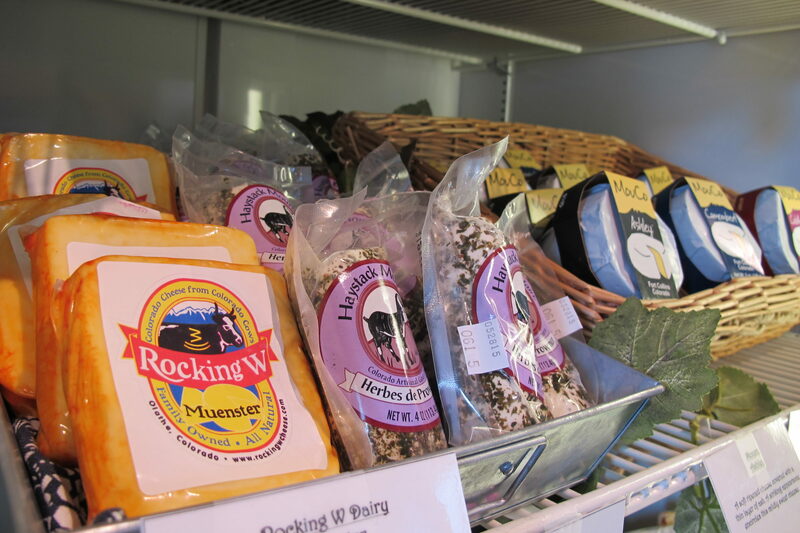 My palate begged for some gourmet cheese, and plenty of options—produced locally of course—were readily available. Growing grapes isn’t always easy with the climate of Colorado, but it certainly does make for some unique vintages.Snowy Peaks has been able to ride out the bad years because of their wide selection and loyal patrons. Because it’s a favorite spot for locals and tourists alike, certain wines can disappear fast, and once they’re gone, they’re gone. You can order from Snowy Peaks Winery online (depending on which state you live in) or, better yet, you can make the trip to Estes Park. Known as the “eastern gateway to the Rockies”, Estes Park is just a few minutes outside of Rocky Mountain National Park where nature lovers and adventure enthusiasts can climb, hike, and view wildlife until their hearts are content. There are plenty of local dining options from fine Italian cuisine at Mama Rose’s to barbeque and burgers at Smokey Dave’s, and downtown is a charming collection of unique shops you’ll want to spend an hour or two exploring for little treasures. My trip to Snowy Peaks Winery was a tasty experience that I’m looking forward to repeating, and anyone who is looking for a fun solo adventure or an off the beaten path romantic getaway should head up into the Rockies and give Estes Park, Colorado a go for a trip where everything will take your breath away. Shauna Armitage is co-founder of Pure Wander Magazine. You can find her on Twitter!